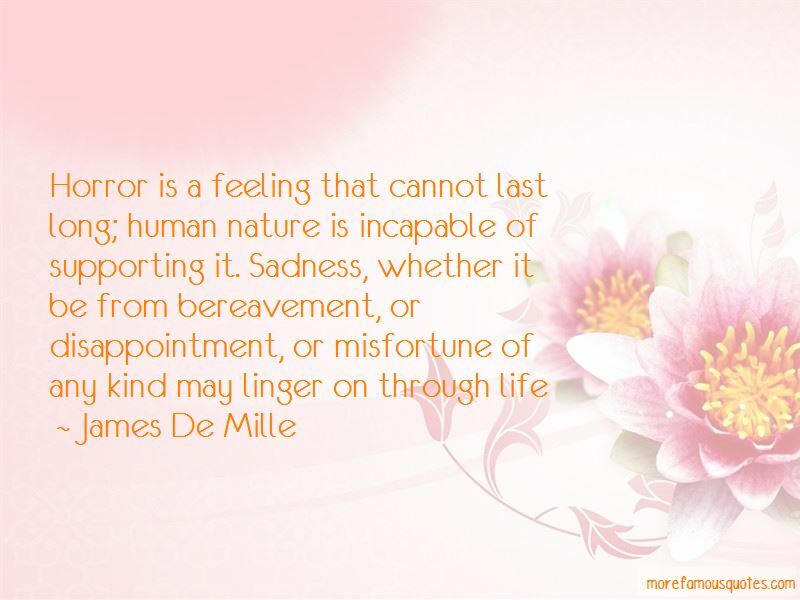 Enjoy the top 3 famous quotes, sayings and quotations by James De Mille. “Will you stay here? No. Will you go back? You cant. We must, therefore, go on. Thats is our only hope. Horror is a feeling that cannot last long; human nature is incapable of supporting it. Will you stay here? No. Will you go back? You can't. We must, therefore, go on. That's is our only hope. Poverty, sicknes, and death are evils; but the worst of all evils is unrequited love. Above all, there was Almah. Everything combined to make her most dear to me. My life has been such that I never before had seen anyone whome I loved; and here Almah was the one congenial and sympathetic, and I loved her dearly, even before I understood what my feelings were. One day I learned all, and found that she was more precious to me than all the world. 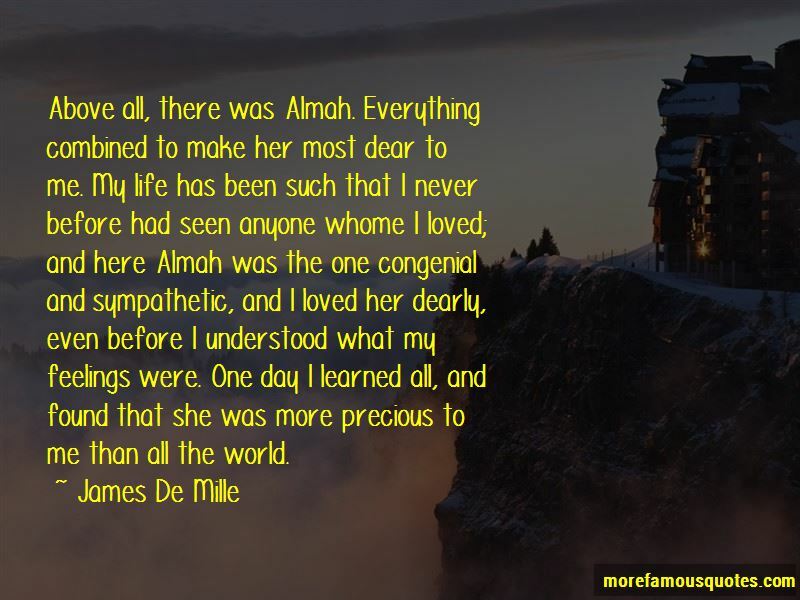 Want to see more pictures of James De Mille quotes? 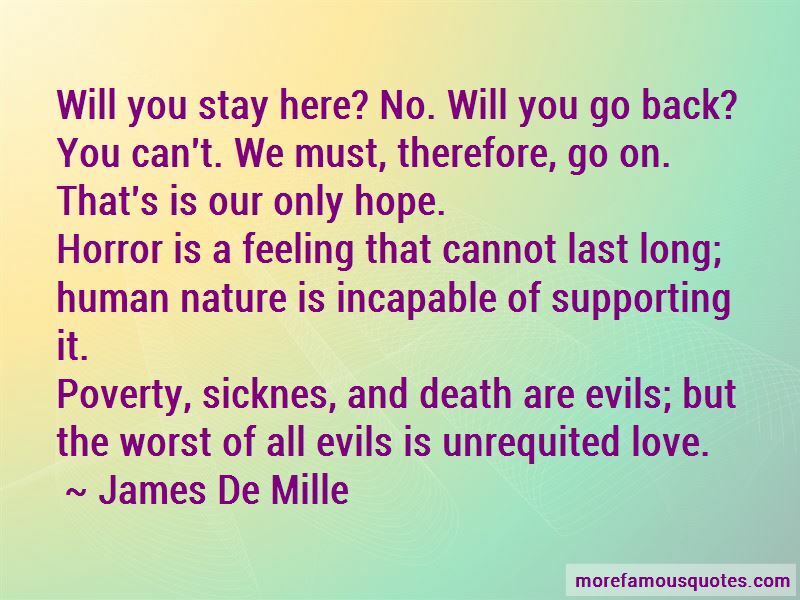 Click on image of James De Mille quotes to view full size.